Moving house is stressful. At almost every turn, there’s something else to help you lose sleep; whether you’ve found the right professional house removal company (hint: if you book us, the answer is ‘yes’), to whether your furniture and belongings will survive the move intact. However, it’s not just your furniture that’s in danger of damage when you’re moving house. 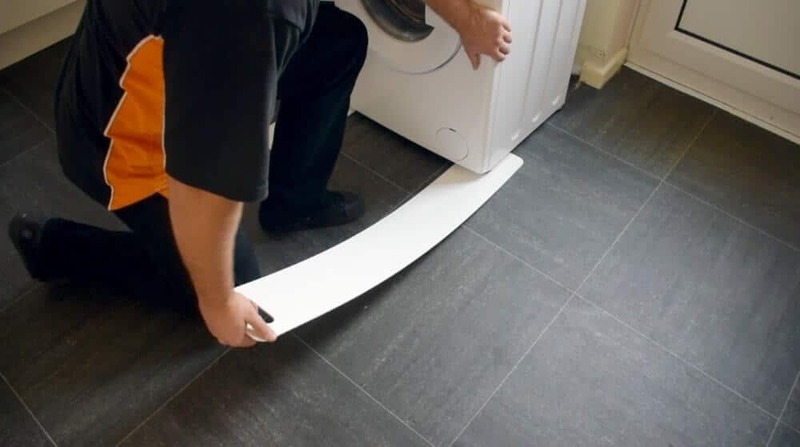 Trying to move your white goods – your washing machine, tumble dryer, fridge-freezer, dishwasher and so on – can cause considerable damage to your floor if you don’t know what you’re doing (and even if you do, if you don’t have the right equipment). Keeping the Condition of Your Floor in Tact! Try as you might, white goods are both heavy and awkward to move on your own, and without the right tools for the job. They’re slotted into place beneath worktops, and often in custom-built spaces in your kitchen or utility room, and there’s barely room to get your fingers behind them to move them out. 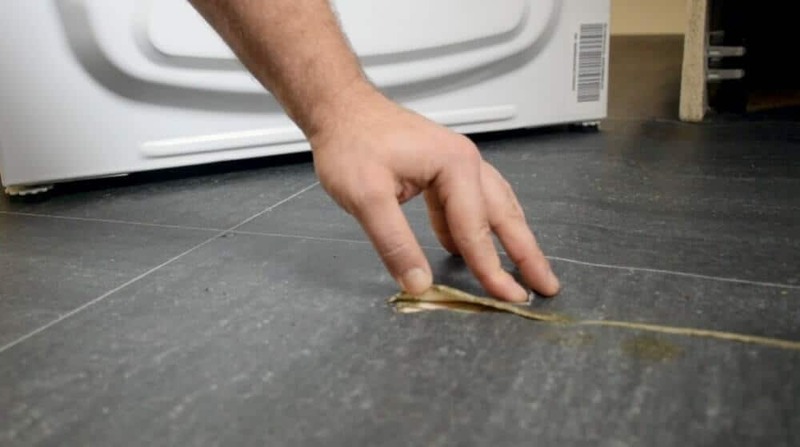 Even if you do manage to get some kind of purchase on them, you’re most likely dragging a very heavy item across your kitchen or utility room floor, resulting in torn lino or lino tiles, gouged wood, or cracked laminate. In fact, if you can think of a type of damage to your floor, moving your washing machine can probably cause it for you. That’s a reduced deposit for you if you were renting the property, or a very awkward conversation with your buyers if you’re selling. Breaking or damaging something on moving day is obviously something you’d prefer to avoid, so get the professionals in. Not only are house removal company employees like ours fully-trained (not to mention very experienced) at moving white goods, they have the proper equipment to do so safely. Our sliders pretty much do what they say on the tin; they slide under the equipment, enabling our staff to move it safely and without damage to either white goods or floor. It’s not just your floor you’re protecting. Washing machines, cookers, and other white goods have delicate components that can be displaced during the removal process, so our sliders help to prevent unnecessary tipping and tilting, and the possibility of a hefty repair bill. There’s a certain amount of preparation you can do first, such as disconnecting both your washing machine and cooker from the water and gas supplies safely, and defrosting your freezer, but leave the moving to us. Floors probably take the brunt of any potential damage during a house move, so prevention is much better – and cheaper – than cure. A really professional house removal company will treat your belongings with the same care and respect as their own, so if you’re planning to move house in the near future, why not give us a call at We Move And Clean to discuss your requirements, and find out what services we can offer you to make sure that your move is as stress-free (and damage-free!) as possible. Swindon’s Museum of Computing – A Dedication to Technologies Past!